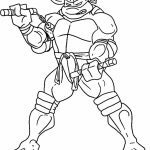 You know what's bad about Teenage Mutant Ninja Turtles? 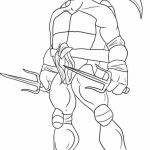 It's that their live action movies, especially the second sequel, didn't turn out quite like what I, and pretty much every body, expected. 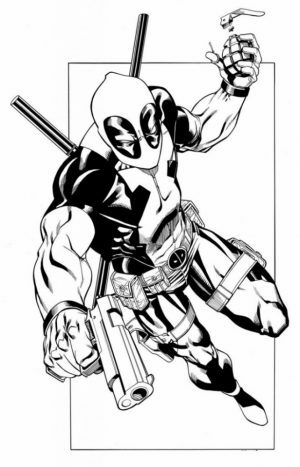 Heck, I think it's safe to say that the second sequel is a major Hollywood flop. 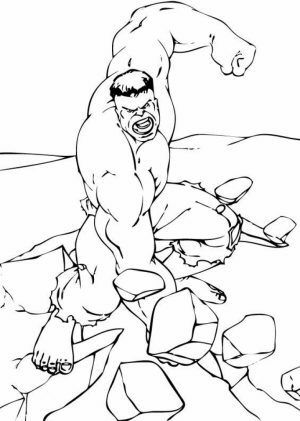 It's really a shame. 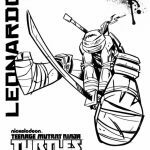 I've always liked Leonardo and his brothers ever since I was a kid (they were very popular in the 90s). 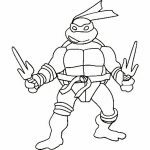 Watching how Leonardo always trying to keep a cool head when dealing with his three brothers, Donatello who is always proud of his brain power, Raphael who like to solve all problems with muscle, and Michelangelo who's just in for the fun of kicking bad guys. 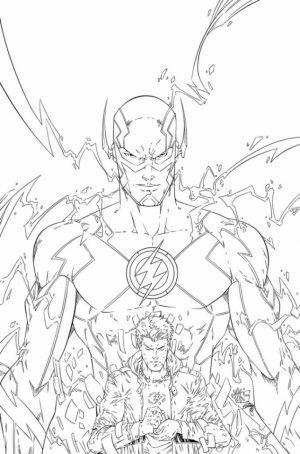 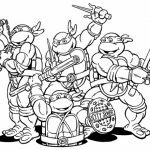 It seems these guys would make a real awful superhero (or maybe superninja) team, but when time calls it, they can work hand in hand quite well. 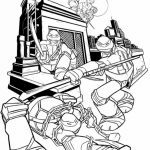 I'm still hoping that Hollywood would make another live action movie for these ninja turtles, one that would be in par with the likes of Avengers. 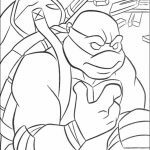 Anyhow, if you're a big fan of TMNT like me, then there's no shame in getting these super cool Teenage Mutant Ninja Turtles coloring pages. 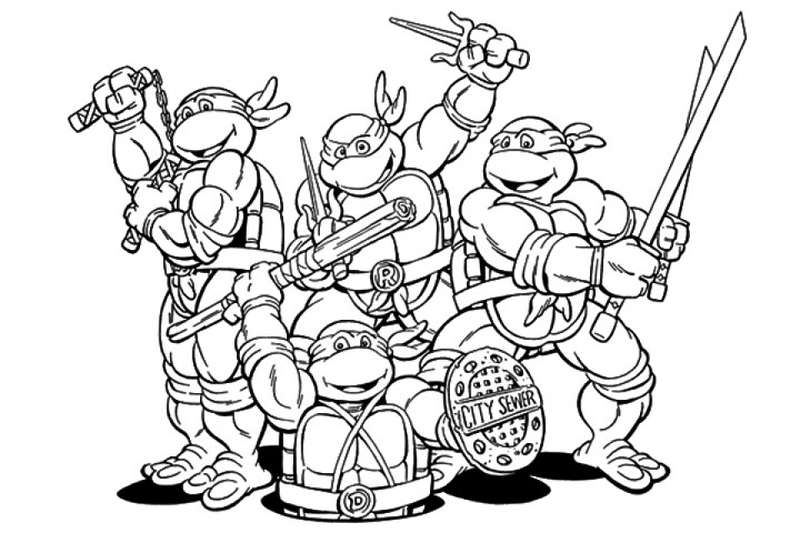 All of them are free, so you really shouldn't think of anything. 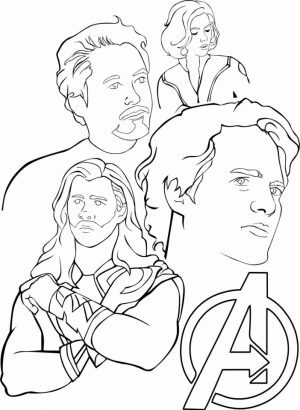 Just pick out the ones you like and print them out. 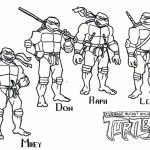 Most of the characters in TMNT are featured in the following printables, from the ninja turtles themselves to their arch enemy, Shredder. 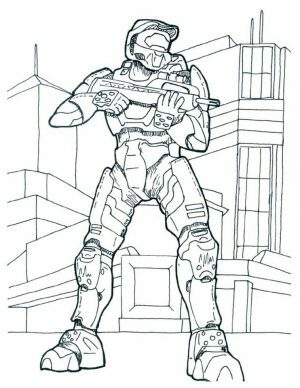 You can see the latter leaping into the night sky with his signature headgear and hand weapon. 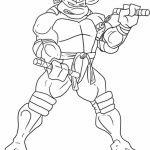 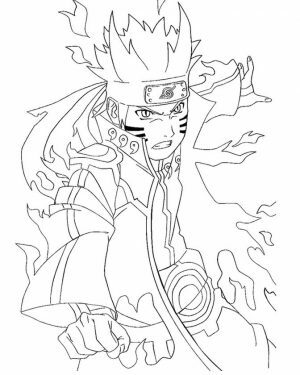 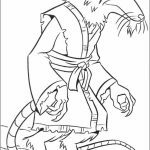 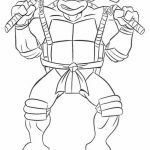 Additionally, you can also find their sensei, Master Splinter in these TMNT coloring pages. 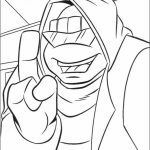 Last but definitely not the least, you will see their partners in crime too, the lovely couple, April and hockey maniac vigilante, Casey. 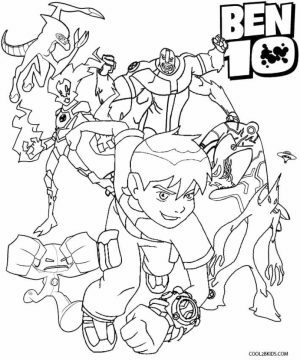 Casey with his mask on looks dreadfully cool. 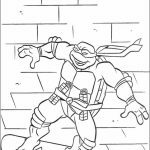 Either way, I hope you enjoy these Teenage Mutant Ninja Turtles coloring pages. 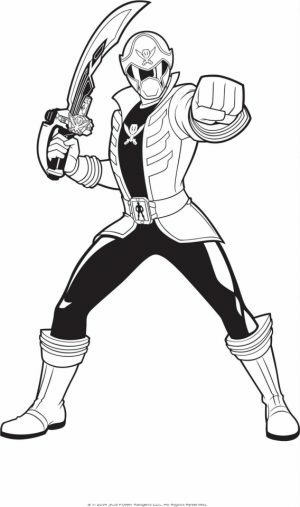 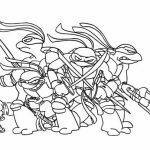 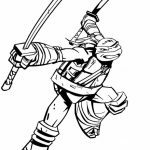 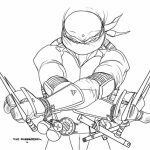 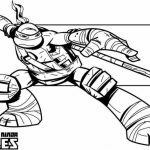 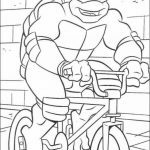 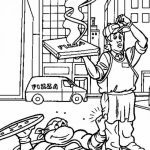 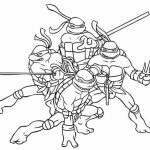 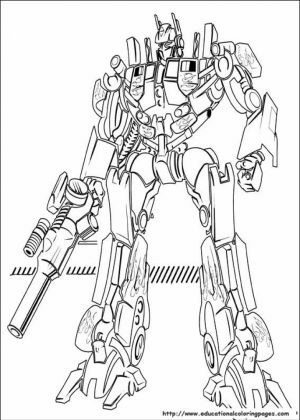 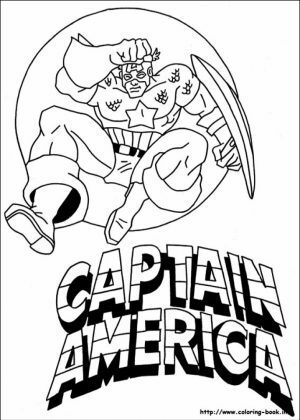 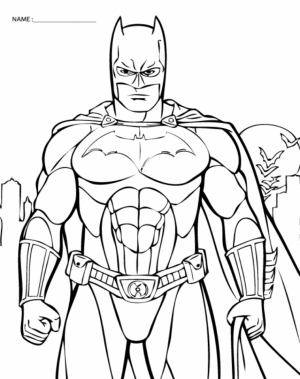 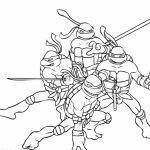 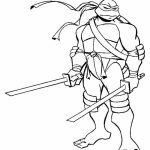 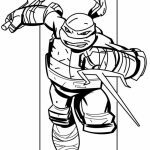 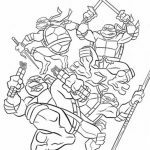 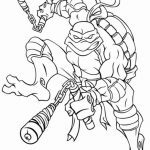 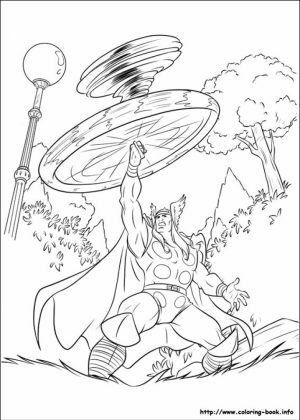 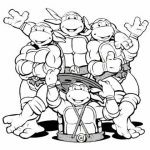 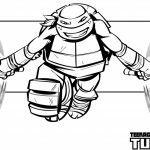 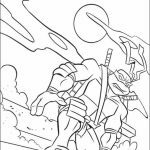 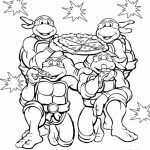 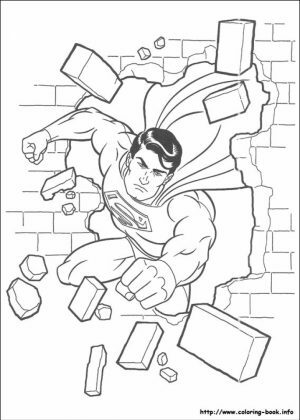 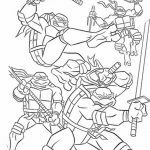 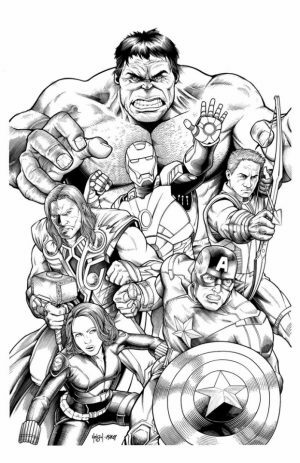 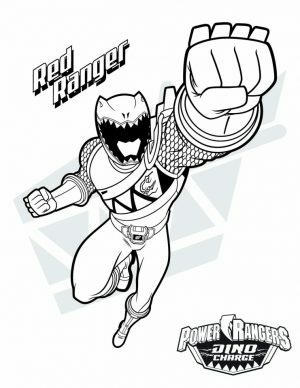 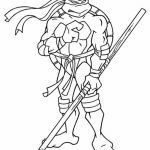 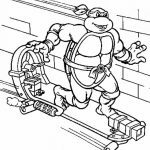 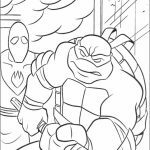 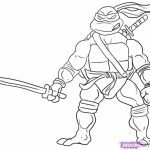 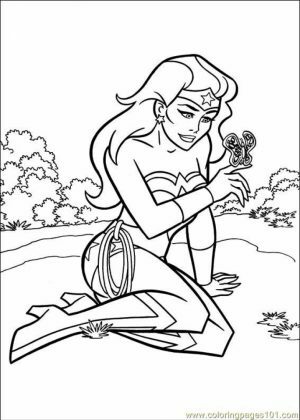 Related Posts "Teenage Mutant Ninja Turtles Coloring Pages"